Archie Manning is widely known for his time playing quarterback at Ole Miss in college and for the New Orleans Saints in the NFL. 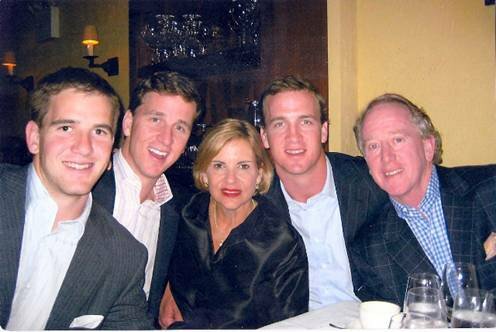 Archie and his wife Olivia have three terrific sons, Cooper, Peyton, and Eli. All three boys did follow their dad’s footsteps by playing football. Peyton and Eli are quarterbacks in the NFL who both have Super Bowl rings. Like all of us Archie has experienced highs and lows in his life. In an upcoming film called “The Book of Manning” on ESPN airing September 24th people will get to see just that. The film takes more of the personal look into the Manning family. Talking with Archie solidified my notion about how much of a caring and down to earth person he is. Archie told me that he is very blessed to be married to Olivia for 42 years and that they are proud parents and grandparents. Since we already know about Archie and his time in the NFL I wanted to talk with him about fatherhood. We did chat a little bit about football, but as you will read below there is more to Archie than just football. Art Eddy: First off let’s talk about the outstanding performance from your son Peyton had on opening night of Week 1. From his neck surgery to now it just goes to show what an incredible player Peyton is both mentally and physically. 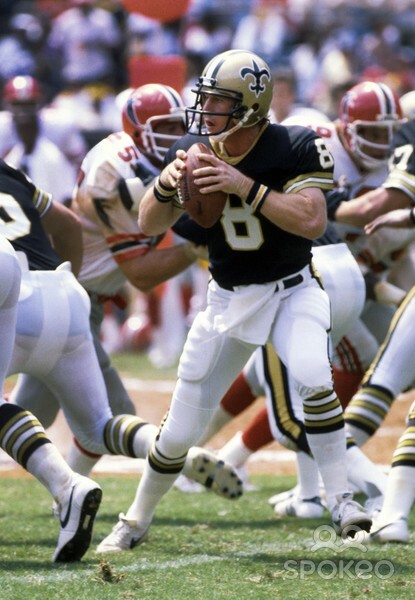 Archie Manning: Well certainly we are proud of Peyton. It was a special night and they got a win too. Two or three years ago we didn’t know what Peyton’s future was in football. He had been so fortunate throughout his career to be healthy and never miss any time. To have four surgeries and for everything to go well and be able to come back and physically play again. He changed teams, but to get the season started like that was really good. We were really proud of him. AE: What will you always take away from your career in the NFL? AM: I didn’t really see the brightest side of it. I was one of these kids that wanted to grow up and play ball. So the fact that I got to do it. I got to do it for almost 15 years. I did it in college which was a great experience for me and professionally for 15 years. I am not scarred by the lack of success we had or getting beaten around a bit or this and that. I wanted it as a youngster. Wanted to play college football. Wanted to play pro football. I got to do it and it was a great experience for me. AE: What has been the biggest change about the game from when you played to now? AM: The game has changed a great deal. You hear most people say that players today are bigger, stronger, and faster and they are. The training methods have changed. It is more of a year round thing and it really wasn’t when I first came into the league. The whole emphasis on nutrition. The weightlifting programs. The speed enhancements. Players are just better overall. It is also a more complex game. There are various personnel groups going in and out of the game. It wasn’t like that when I started playing. There wasn’t that many substitutions, kind of the same eleven out there all the time. That is the big change. They really got smart people coaching, well they always have. These coaches today with all these personnel groups, defensive coaches, offensive coaches countering back. They are very smart guys and it is a complex game. AE: What was your football advice to Cooper, Peyton, and EIi when they started playing football? AM: Well it really started in all sports. They liked sports. I don’t feel like I pushed them in sports. I will say that I was glad that they had an interest. I think athletic sports are good for young people if they like it. One thing is that it consumes a lot of their time. I think that is a good thing now in our society. I think there is a lot of value there. There are things to learn especially in team sports. How to be part of a team. You learn how to deal with adversity. You know how to deal with good things too like winning. The teamwork part of it. Being coached. Taking direction. Having a proper attitude. Sacrificing things. A lot to learn. I really didn’t want mine playing tackle football until about the seventh grade in an organized way at school. So that is what they did. There is nothing wrong with playing football. I was a little old fashioned. I always encouraged them to play in the yard. That’s what we did growing up in small towns in Mississippi. Kids don’t do much of that anymore. They went from sport to sport. Played a lot baseball early on. Played basketball. A little bit of soccer. A lot of just ball in the backyard. I think it was about seventh grade when they started organized football. It was no big deal. We just had a rule with anything they played. If you go out for something you are going to stay out. If you think there is any doubt that you are not going to like this project, than don’t do it because you are not going to quit. Football was always a good experience for them. They had good coaching. One of my rules is you got to have fun. Football is supposed to be fun and I think they did. AE: I am very curious to know what happens when all three brothers get together. Not to put you on the spot, but who is the funniest out of the three? Or maybe I should say who tries to be the funniest of the three? AM: Cooper has always been the guy that keeps everybody laughing in our family. He has been funny since he was a little boy. Has a good sense of humor. Maybe a little bit crazy at times. He does a lot of funny things. I think Peyton and Eli have always been a good audience for him. I think the main thing is that the three of them get along real well. We don’t get together as much as we like to with everyone spread out. I know when those three get together they do laugh a lot. They have fun. As a parent that makes me feel really good. AE: The film “The Book of Manning” will premiere on September 24th on ESPN. The film takes the viewer even more inside your family. From what I have seen it shows the both some of the highs and lows in your life. How did this project come about? AM: They just came to me and wanted to do it. It is kind of a popular thing on TV now. You see the “30 for 30” series on ESPN. I think the NFL Network has “A Football Life.” This is something that started three or four years ago. ESPN and Southeastern Conference have a thing called “SEC Storied.” They came to me. I know they did one on Herschel Walker, Bo Jackson, and a good friend of mine up at Tennessee, called Condredge Holloway. They told me that they wanted to do it. It took us a while to get going. I had a lot on my plate. It kind of started and I told them that they had to delay it for a while. Peyton was going through those neck surgeries. We came back and allowed them to do it and just let them go. It is getting ready to come out. Olivia and I have viewed it and we liked it. I think it is something our grandchildren will like and hopefully some other people will enjoy it. It does go back to my childhood, my college football days. I lost my dad when I was playing college football and dealing with that. Raising kids. It is not about pro football or anything. As far as their concerned it is a little more about their high school days and making some decisions. Plus a couple of tough things Cooper had to go through as an athlete. AE: Your family is well known. 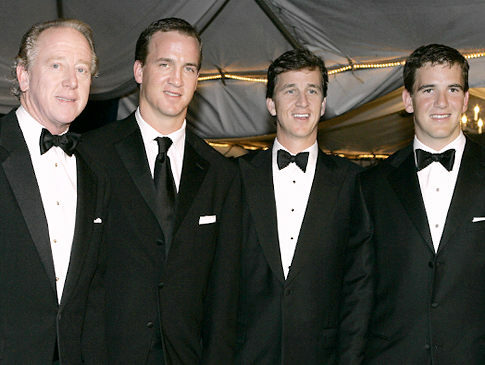 Many people look to Cooper, Peyton, and Eli as role models. As a parent that has to send a message to you and your wife that you did a good job raising your sons. What are you most proud of your three sons? AM: First of all if there is anyone that needs credit for them turning out pretty well it would be Olivia. We have been fortunate enough to be married for 42 years. She is not only a great wife, but a wonderful mother. Olivia and I have just been really so blessed to have the three boys, Cooper as much as Peyton and Eli have given us such great joy and happiness through the years. All three have been married to three great girls. All have families. All have children. Grandchildren are the greatest thing in the world. Again we have been just so blessed. I think the thing I am most proud of is what I said before. The fact that they all get along so well. At my age I see siblings who don’t always get along because of one problem or another. That is kind of sad to me. I know Olivia and I feel the same way. We pinch ourselves sometimes. We have two sons playing quarterback in the National Football League. At the end of the day I think what gives us the most joy is that all three of them are happy and that they all get along so good. AE: What were some of the main life lessons you wanted to teach your sons? AM: Priorities was always a word we threw around a little bit. As you get older and have a lot of things hit you in the face there. School work, social, and sports and so forth. My mother always used to do this. When you didn’t know the meaning of a word she would say go look it up in the dictionary. If you look up priorities in the dictionary it says what is most important. So I think we would always try to emphasize with the boys to take a look at what is most important. Your faith, your family, your school and if you are in sports or extracurricular and friends. I guess the other thing is that young people today in country and our society have a lot of challenges. This is what we do with our children. If we just try to remind them when they got a decision to make, just kind of take a deep breath and step back and try to do what is right. What do you think is right here? What is the right thing to do? If you can be a little patient and take time and make the right decision, things will be a lot better. AE: Now as a grandfather what is to like to see your sons take on the role of being a father? AM: I just think it is being around the grandkids. Laughing with them and seeing them grow and spoiling them. Gosh it is great to take them for a cheeseburger or have them spend the night or go to a ball game. Olivia and I have spent our lives going to ball games. Now they are active in those, well some of them are still a little young. The ones who are old enough are getting active in the same little leagues and basketball and so forth. People tell you how great grandchildren are, but it is better than they tell you it is. Print article This entry was posted by Art Eddy III on September 12, 2013 at 1:49 pm, and is filed under Sports. Follow any responses to this post through RSS 2.0. Both comments and pings are currently closed.